A data driven approach to venture. Apple earnings are a bellwether for the technology industry and the iPhone has become Apple’s most important product, accounting for more than half of its revenue. In advance of their reporting today, I thought it would be fun to take a page from Hal Varian’s Predicting the Present, and run a quick, non-scientific stab at predicting iPhone sales based on Google query traffic. Overlaying normalized iPhone quarterly sales demonstrates a very strong relationship (a correlation of >.75). 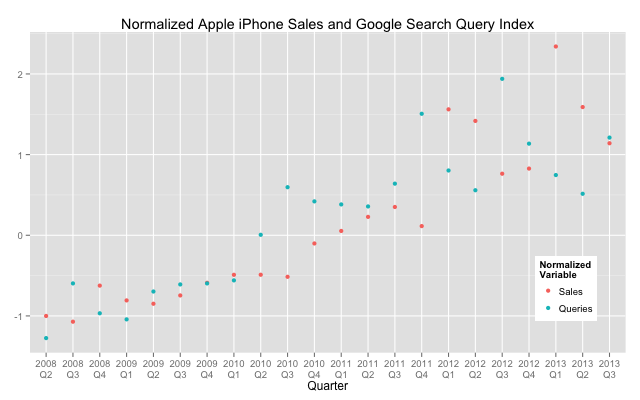 Normalized Apple iPhone Sales and Google Search Query Index. With estimates in the >50M units range based on the strength of the newly released iPhone 5c and 5s, Apple is expected to have a monster quarter. A trivially simple linear model from Google search trends yields a much softer prediction for Q4 2013, on the assumption that Google query traffic is causally related to purchase intent and thus actual sales. Note, this is certainly woefully unsophisticated. 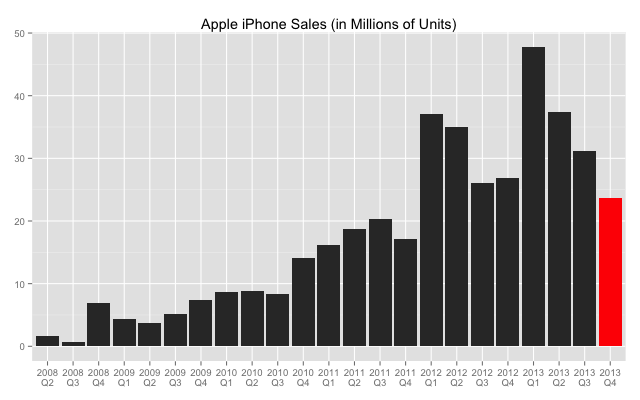 Soft query volume on iPhone may indicate a soft Apple quarter. Naturally, this blog would never imply that correlation equals causation. While Hal has repeated demonstrated the accuracy of using Google query traffic, tapping “database of intentions” as John Batelle has called it, this is a trivial analysis for fun. Or as Facebook’s Mike Develin said in a great response to the recent Princeton researchers paper applying a similar methodology drawing a conclusion about Facebook from Google Trends: » As data scientists, we wanted to give a fun reminder that not all research is created equal – and some methods of analysis lead to pretty crazy conclusions. 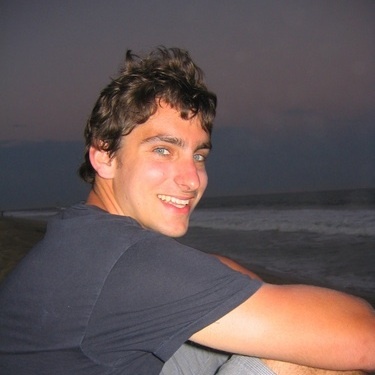 Here is a R script for generating graphs and see Statista and Google Trends for the raw data.